Description Matt Bowers Chevrolet is pleased to be currently offering this 2007 Nissan Xterra S with 0mi. 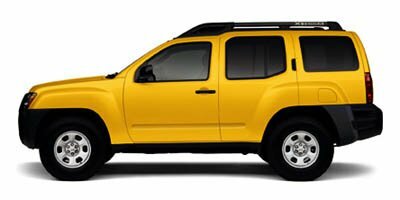 This Nissan Xterra S is an incredibly versatile vehicle that is a must have for any family. Just what you've been looking for. With quality in mind, this vehicle is the perfect addition to take home. This is about the time when you're saying it is too good to be true, and let us be the one's to tell you, it is absolutely true. More information about the 2007 Nissan Xterra: The 2007 Nissan Xterra offers more off-road capabilities than anything else in its price class, except for the Jeep Wrangler. Of course, the Xterra is based on the Nissan Frontier pickup, and has a real roof and power glass windows. Its funky styling and standard rooftop cargo basket clue buyers into the fact that it's meant for those with an active lifestyle. The Xterra also scores well on safety. Side and curtain air bags are available, and every Xterra has electronic stability control as standard equipment. Interesting features of this model are Great off-road abilities, available manual transmission., low price, and edgy exterior Lifetime warranty is a limited Powertrain Warranty. Owner must follow manufacturers recommended maintenance on new vehicles as per owners manual. Covers select pre-owned vehicles five calendar years old or newer, with 80,000 miles or less. Other restrictions apply. See dealer for warranty details.